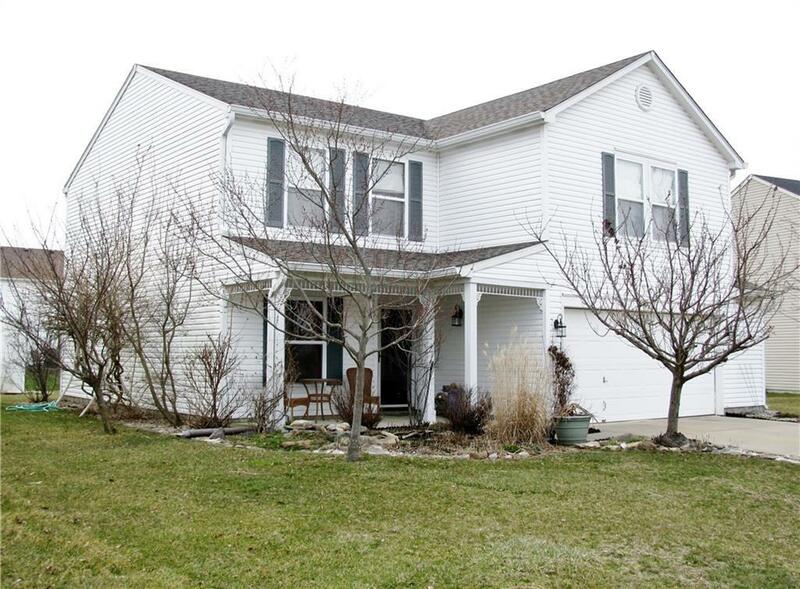 From the decorative pond & blooming Quansa Cherry tree, in front, to the spacious back yard, this home is a true delight! Meticulously maintained, 1 owner home has the open feel you're looking for. Large, eat in Kitchen, open to the Great Rm + a separate Dining Rm/Office/Sitting Rm, whatever you may need. Loft on the 2nd floor provides another area for family & friends. Three large bedrooms & convenient laundry upstairs. New carpeting & Laminate flooring throughout, newer roof-5 yrs, newer water heater, dishwasher-3yrs. CAT 5 system installed & cable ready. Very nicely landscaped with a mini barn in the back. Garage has bump-out. Community playground just down the street. Close to Pennsy Trail, Riley Park & charming Main St. A must see!